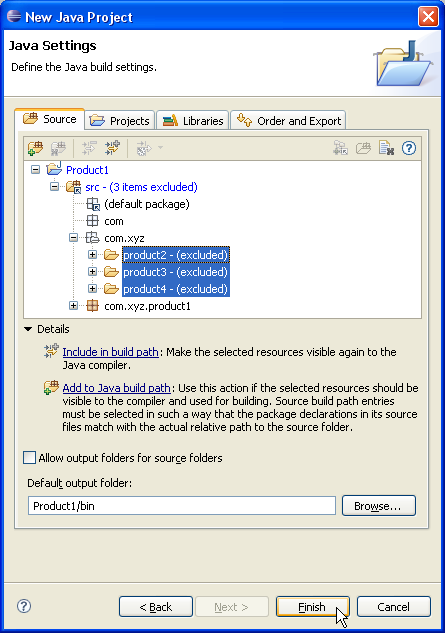 The Java source files for products are all held in a single main directory. Products are separated into four siblings packages Product1, Product2, Product3 and Product4. 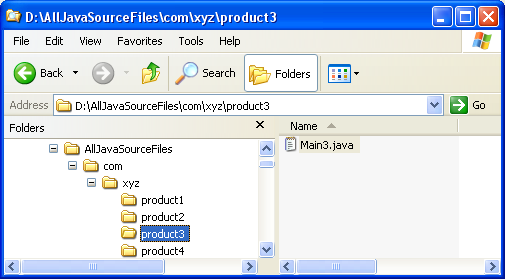 In Link Source click Browse.... and choose the D:\AllJavaSourceFiles directory. 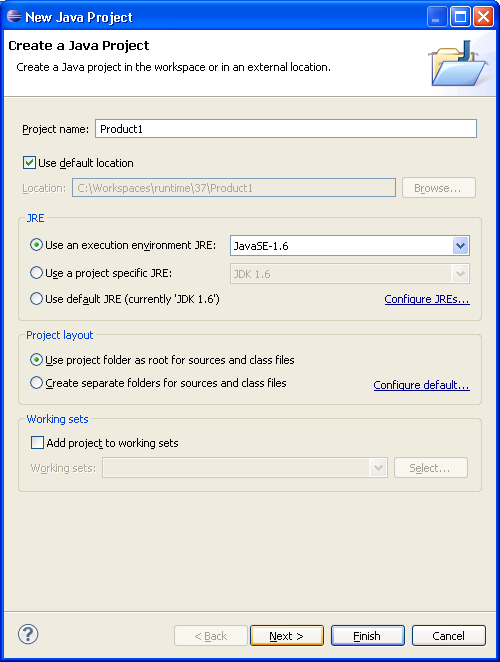 Type "src" in Folder name. Expand the "src" source folder. 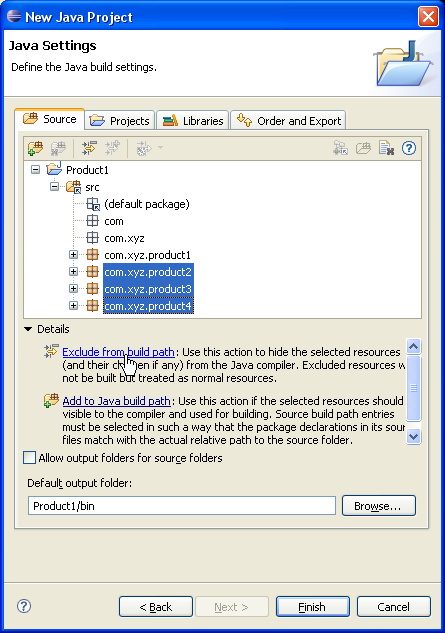 Select the three last packages and exclude them from build path using either Exclude from build path link or Exclude popup-menu item. 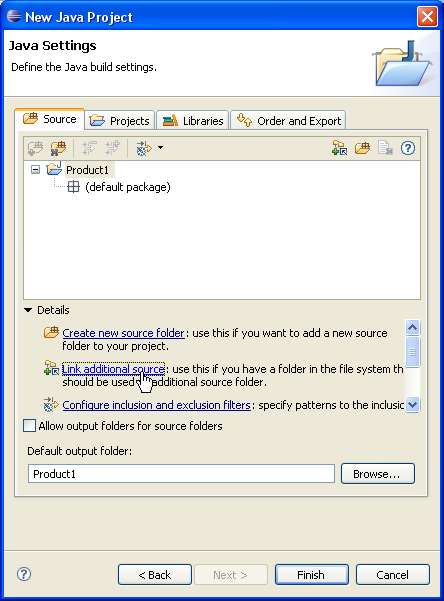 Copy "Product1" project and paste it as "Product2". 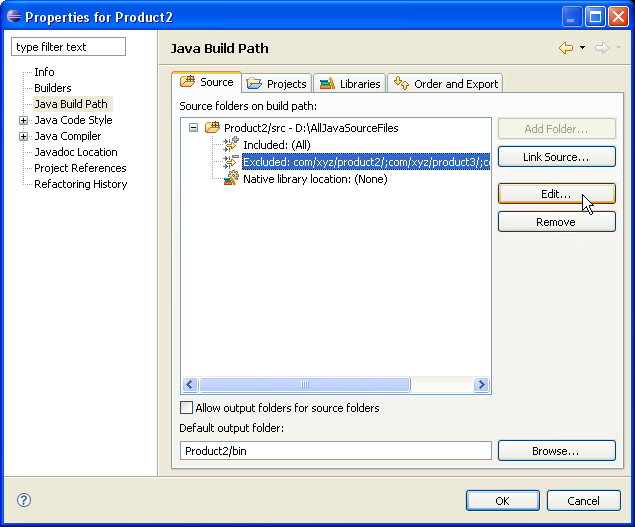 Edit "Product2" project properties and go on Java Build Path page. Click OK to enter the change. 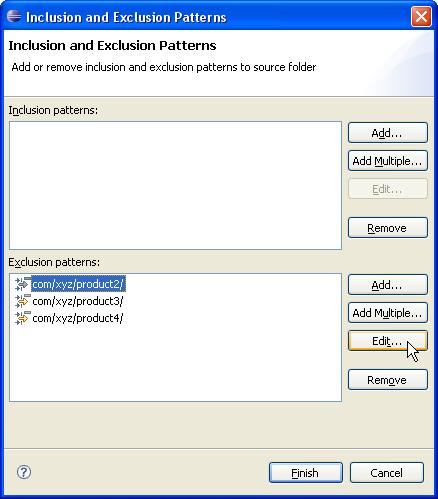 Click Finish to validate and close Inclusion and Exclusion Patterns dialog. 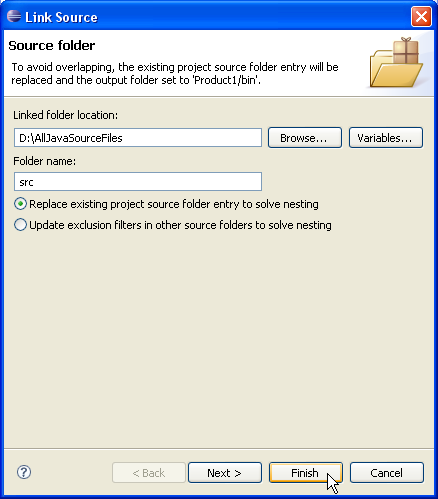 Click OK again to validate "Product2" project properties changes. 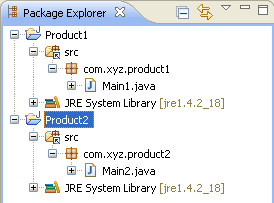 You now have two Java projects which respectively contain the sources of "product1", "product2".